Sourced Group has partnered with Malaysia’s RHB Banking Group in Singapore in its digital transformation effort. The announcement comes as the consultancy firm completed a cloud-native application platform built on Amazon Web Services (AWS) for RHB, resulting in the bank’s first production workload on AWS in less than five months. "We are delighted to work with RHB Singapore as they continue to transform their organisation and commence the journey to adopt cloud at scale," said John Painter, managing director of ASEAN at Sourced. "Working closely with the team at RHB, we were able to rapidly deliver a secure and resilient native platform built on AWS, deploy the RHB TravelFX mobile app and introduce modern risk management and cloud operations concepts to the organisation, all within a few short months. "We congratulate Clara and RHB on their new multi-currency digital card and remain deeply committed to the ongoing success of RHB and the ASEAN region. "We look forward to the opportunity to expand our partnership, bring in top talent from Sourced offices around the world, and help foster local skills to facilitate IT innovation across the region." This move by RHB Singapore is part of a bigger journey towards an enterprise-wide cloud transformation that facilitates not just innovation but also an enhanced customer experience increasing the organisation’s competitive advantage. RHB Singapore is part of the RHB Banking Group, the fourth largest integrated financial services group in Malaysia with offices across 10 countries. As an AWS advanced consulting partner, Sourced was tasked in April 2018 with providing a platform on AWS that would meet RHB Singapore's strict security and compliance requirements, whilst addressing and building out key financial services IT risk models. The IT consultancy firm was able to deliver an enterprise-grade foundation for the bank's applications, consisting of cloud-native infrastructure and automation that helped the bank meet its regulatory and governance obligations with a minimum of manual effort. "RHB is committed to providing best-of-breed solutions and experiences to our international customer base," said Clara Lee Hui Theng, head of technology and operations at RHB Singapore. "With these initiatives now complete, we are well-equipped to deliver new client-facing applications on AWS, as well as migrate existing workloads, Sourced has been instrumental in providing us with this capability. "Having a partner with almost a decade of cloud transformation experience gives us confidence as we continue this journey and interface with key regulatory bodies across the ASEAN landscape. "Their depth of knowledge of cloud transformation in financial services, combined with their commitment to the ASEAN market, made them a logical choice." 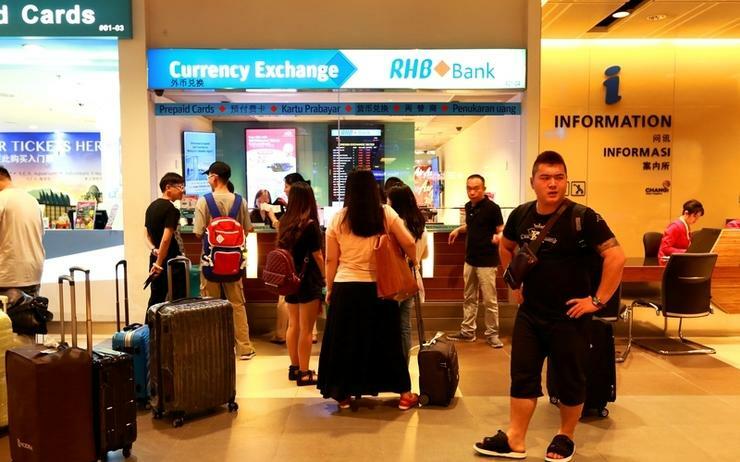 Furthermore, once the platform was in place work began on the RHB TravelFX mobile app with Sourced working with RHB Singapore and an application development partner on its delivery. This mobile app is designed to be multi-currency digital card and app payment solution and is the bank’s first production workload on AWS, intended to offer a secure and easy-to-use platform with competitive foreign exchange rates, real-time currency exchange, and the freedom to use local currency overseas. Sourced was able to use its application pipeline development methodology to automate the deploy and release process to circumvent third-party and on-premise system integration requirements. Specifically, this allowed for multiple releases per day, greatly accelerating the intensive testing period leading up to the application's launch.